In the ever-changing business environment, being able to accurately model and forecast the volatile economic inputs is a critical skill for business professionals. 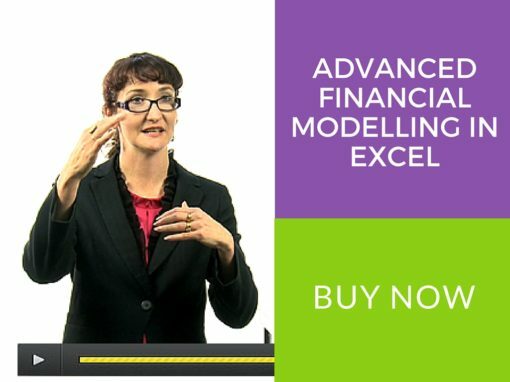 Build on your existing modelling skills and apply new techniques to better analyse financial data, predict revenues and cost and assess risks to justify business decisions in the most time-efficient and effective way. The course material includes extensive use of Excel and participants will gain the maximum benefit from this course if they are already competent spreadsheet users. It is designed for those who have already undertaken the Introduction and/or Intermediate Financial Modelling in Excel courses or users who do use Excel on a regular basis, and are comfortable with using its tools and functions. This course builds on students’ advanced knowledge of Excel tools and functions and incorporates these into complex and dynamic financial models. Scroll to the bottom of this page, tick the box and add it to your cart. Once you’ve gone through the shopping cart, you will gain access to the course. You’ll need to be logged in in order to view the content. At each step during the course, participants build and practice each formula, tool and technique. Record your own macro with buttons, build a pivot table, and create drop-down boxes. Building on the tools and techniques covered, we will learn to apply advanced modelling skills to build complex, yet robust and user-friendly financial models. Working on a startup funding model from start to finish we will evaluate input assumptions, calculate revenue and costs of production to calculate cash requirements. From this, we build a full set of financial statement with particular emphasis on linking the profit & loss statement, cash flow statement and balance sheet together. Utilising the tools and techniques covered in the first part of the course, participants will build their own financial model case study, performing stress testing, scenario and sensitivity analysis on their model.